thiruvAimozhi 1.2.5 – aRRathu paRRu – http://divyaprabandham.koyil.org/index.php/2015/05/thiruvaimozhi-1-2-5-arrathu-parru/ . Full series can be viewed at http://divyaprabandham.koyil.org/?page_id=23. gyAna sAram (thamizh) – 40th pAsuram published at http://divyaprabandham.koyil.org/index.php/2015/05/gyana-saram-tamil-40/ . Thanks to sundharavaradhan swamy for publishing the same. With this gyAna sAram is complete. dhivya prabandham – thiruvAimozhi 1.2.4 – illathum uLLathum – http://divyaprabandham.koyil.org/index.php/2015/05/thiruvaimozhi-1-2-4-illathum-ullathum/ . Full series can be viewed at http://divyaprabandham.koyil.org/?page_id=23. guruparamparai telugu – azhagiya maNavALa perumAL nAyanAr – life and glories in telugu – https://guruparamparaitelugu.wordpress.com/2015/05/12/azhagiya-manavala-perumal-nayanar/ – new article by shashidhar swamy based on http://guruparamparai.wordpress.com/2012/12/15/azhagiya-manavala-perumal-nayanar/ . Please visit https://guruparamparaitelugu.wordpress.com/2013/09/01/introduction-2/ to see the full list. dhivya prabandham – thiruvAimozhi 1.2.3 – nIr numathu – http://divyaprabandham.koyil.org/index.php/2015/05/thiruvaimozhi-1-2-3-nir-numathu/ . Full series can be viewed at http://divyaprabandham.koyil.org/?page_id=23. guruparamparai thamizh – kulasEkara AzhwAr – https://guruparamparaitamil.wordpress.com/2015/05/13/kulasekara-azhwar/ – new article by sadagOpan swamy based on http://guruparamparai.wordpress.com/2013/01/18/kulasekara-azhwar/ . Please visit https://guruparamparaitamil.wordpress.com/2015/03/14/introduction-2/ to see the full list. dhivya prabandham – thiruvAimozhi 1.2.2 – minnin nilaiyila – http://divyaprabandham.koyil.org/index.php/2015/05/thiruvaimozhi-1-2-2-minnin-nilaiyila/ . Full series can be viewed at http://divyaprabandham.koyil.org/?page_id=23. 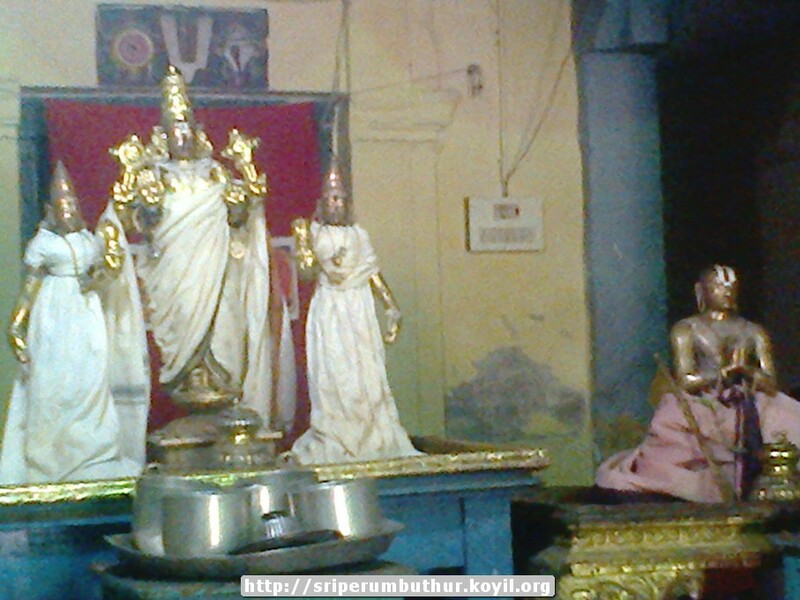 guruparamparai thamizh – thirumazhisai AzhwAr – https://guruparamparaitamil.wordpress.com/2015/05/07/thirumazhisai-azhwar/ – new article by sadagOpan swamy based on http://guruparamparai.wordpress.com/2013/01/16/thirumazhisai-azhwar/ . Please visit https://guruparamparaitamil.wordpress.com/2015/03/14/introduction-2/ to see the full list. dhivya prabandham – thiruvAimozhi 1.2.1 – vIdumin muRRavum – http://divyaprabandham.koyil.org/?p=2217 . Full series can be viewed at http://divyaprabandham.koyil.org/?page_id=23. guruparamparai hindi – sOmAsiyANdAn (sOmayAji swamiji) – life and glories in hindi – https://guruparamparaihindi.wordpress.com/2015/05/09/somasiyandan/ – new article by jAnaki ammangar based on https://guruparamparai.wordpress.com/2013/04/09/somasiyandan/ . Please visit https://guruparamparaihindi.wordpress.com/2013/08/29/introduction-2/ to see the full list. brahmOthsavam thIrthavAri in many dhivya dhEsams being emperumAn’s thirunakshathram.